This Thing Called Life! : Enjoy your day! Of course, if I have a book in hand I can always enjoy my day! 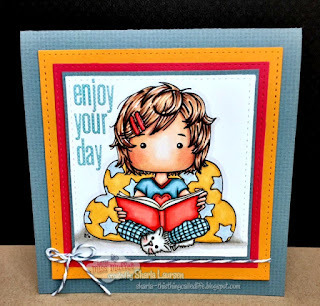 Come join us at Little Miss Muffet Stamps for a new challenge, the theme is to Use a Favorite LMMS image, well I love anything that is whimsical and anything that is fairytalish/fantasy themed, and of course anything to do with books. 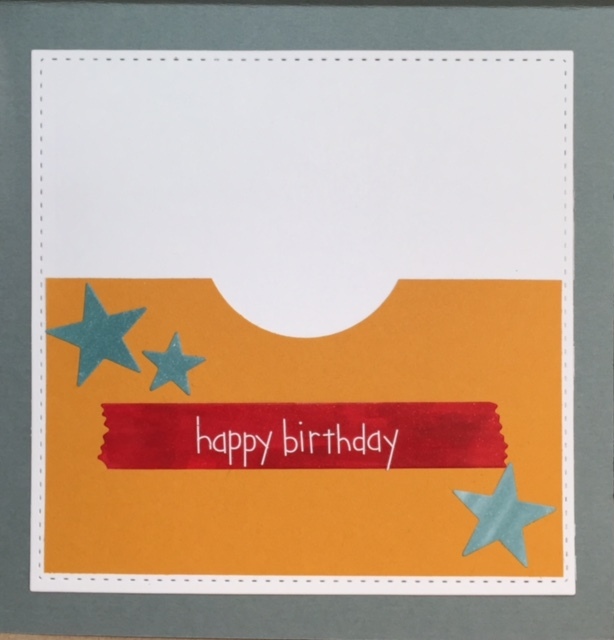 I used Polka Dot Pals Lirienne image for my card and made the inside a pocket for a gift card to a book store. I just got a gift card to Barnes & Noble and bought a book last night, so I know for my book loving friends, this card will be perfect! This is gorgeous. Love the tones and colours you have used. Happy new year! EEK! This card is the sweetest, Sharla. I love the way you interpreted the colours. Thanks for hanging out with us over at YNS. Such a fresh color combo with the orange and grey - looks great. 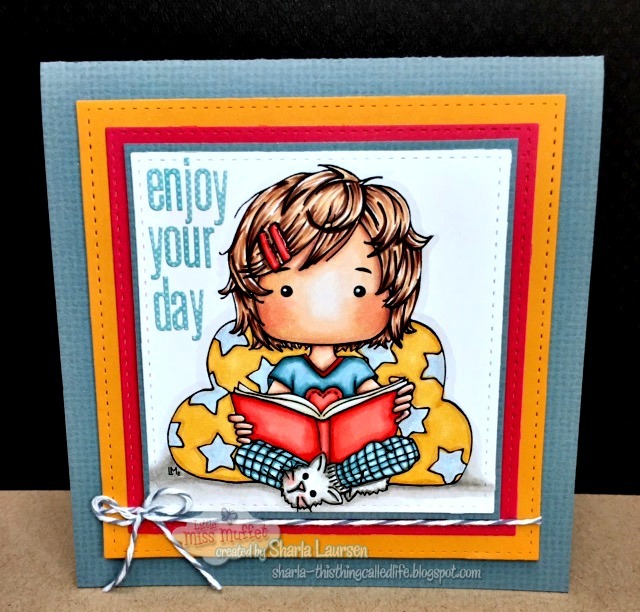 Thanks for joining in challenge #29 at YNS!